MHC has limited interface. 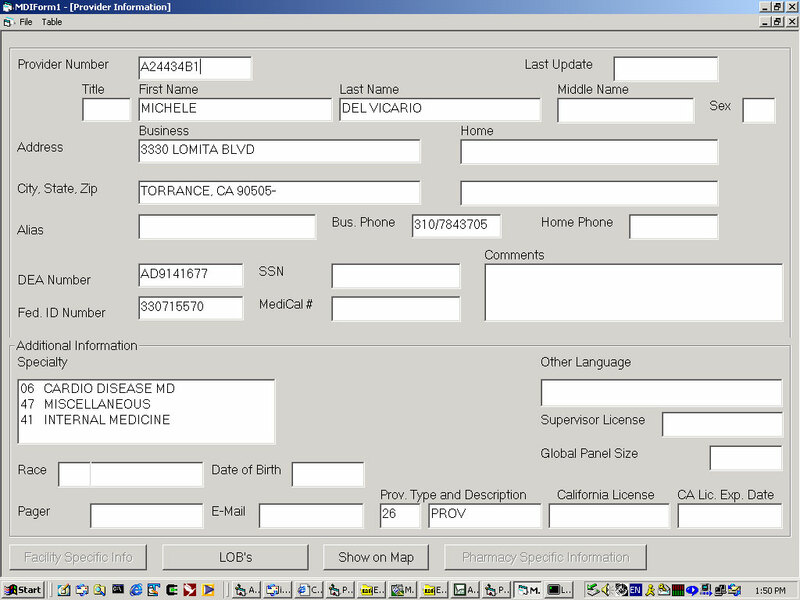 This add-on provides read-only screens to CRM and other workers in an HMO to have a clear and consolidated look at provider and membership data. 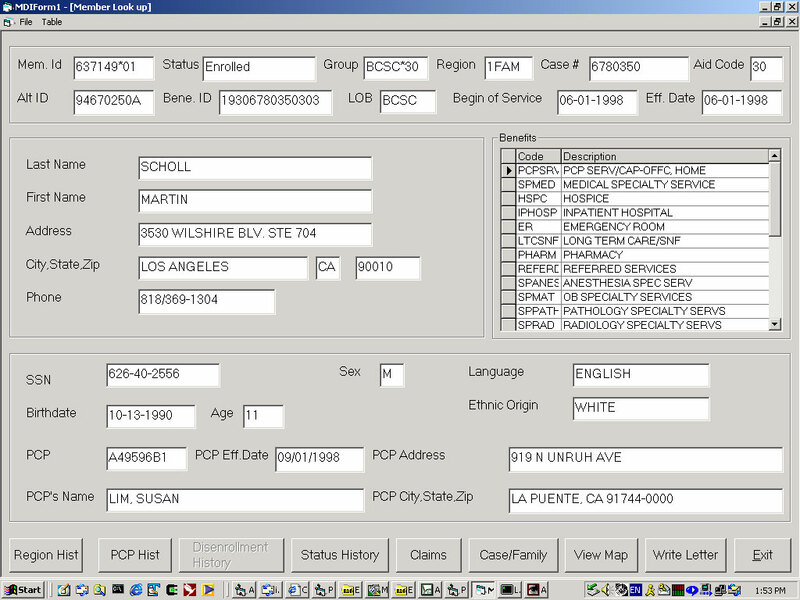 This screen shows the basic provider info and also has buttons to open additional screens like Line-of-Business, PROV.REGION information as well as a map interface. This screen and the links that it is giving shows all availabel member information.